Patchwork pjs for Z & N. I cut these out before we went on holiday: trying to best use up the knits I had and they have come out pretty well. Next up on the pj front for the girls will be shorter summer ones. Last year Z wore her winter/fall pjs all summer long. Hoping to tempt her with some lighter Sarah & Duck themed pjs – because it gets quite hot here! 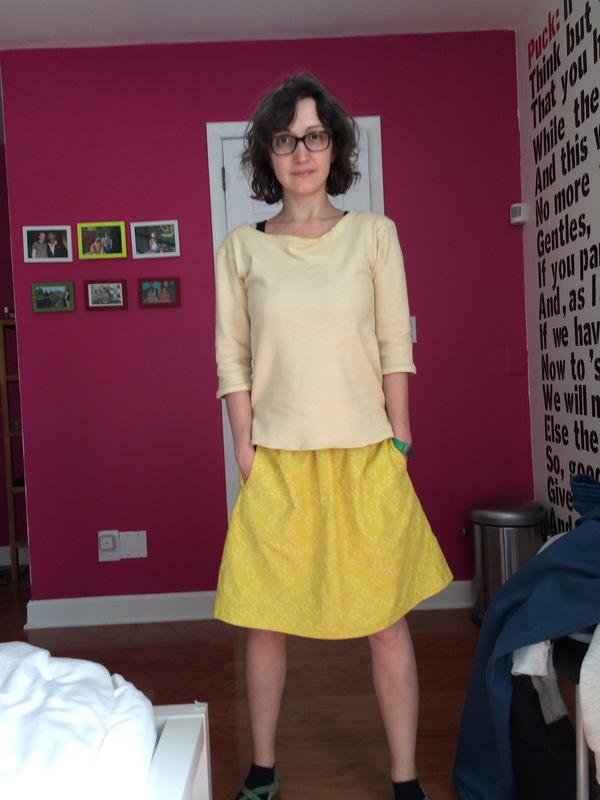 I LOVE these two items: Lisel + Co Maritime T-shirt and Everyday Skirt. 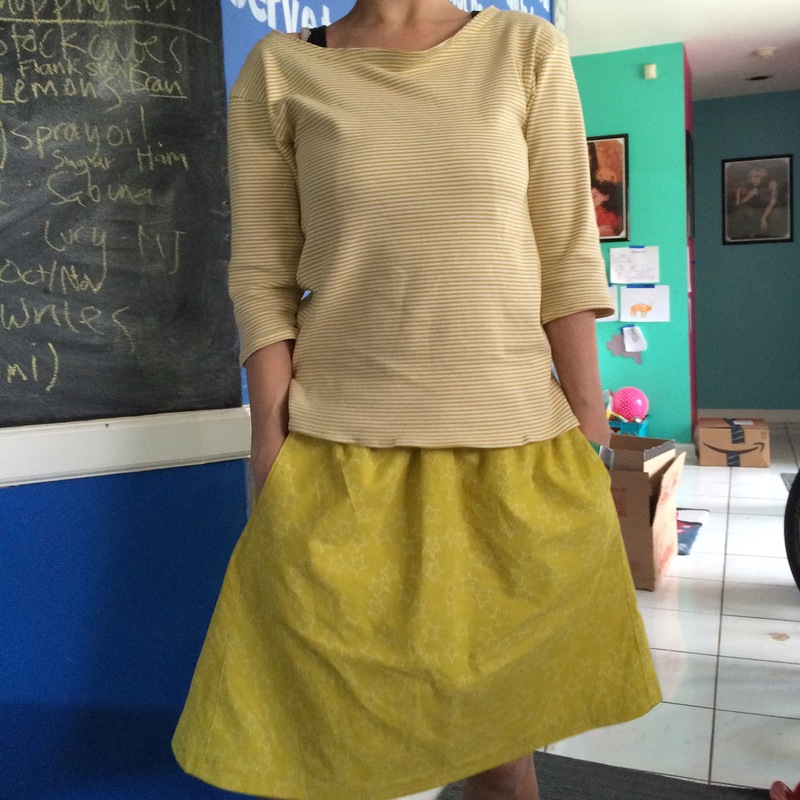 The tee is in Cloud 9 knit (yellow stripes) and the skirt in soft cord I got on sale. I plan on making more of both. The skirt has the most perfect pockets I’ve ever come across. Roomy and not bulky. I did rush to finish the tee (not happy with the hem) as I wanted to wear them out on a galavant but so so pleased with them. I’m starting to sew up some thank you gifts. 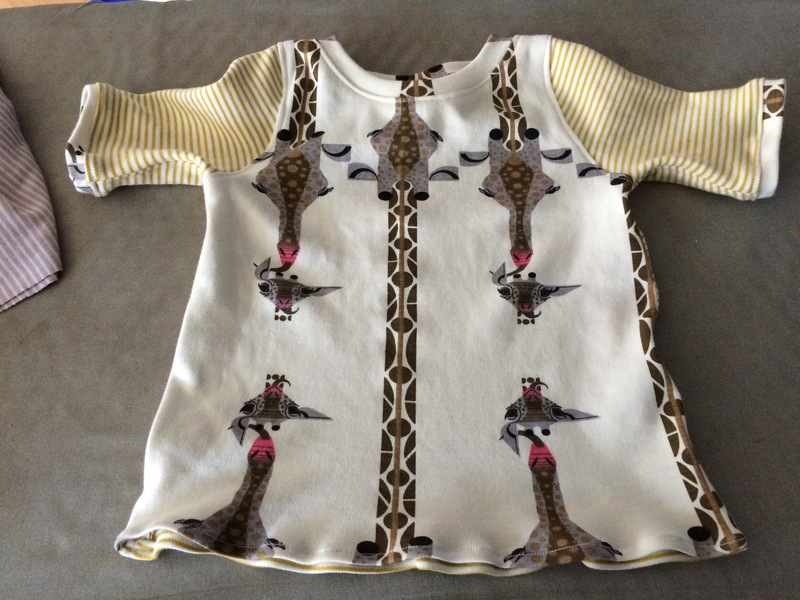 This tee in Cloud 9 stripes & Birch Fabric Charley Harper giraffes is darling. This is Zoey’s picture of my new outfit. 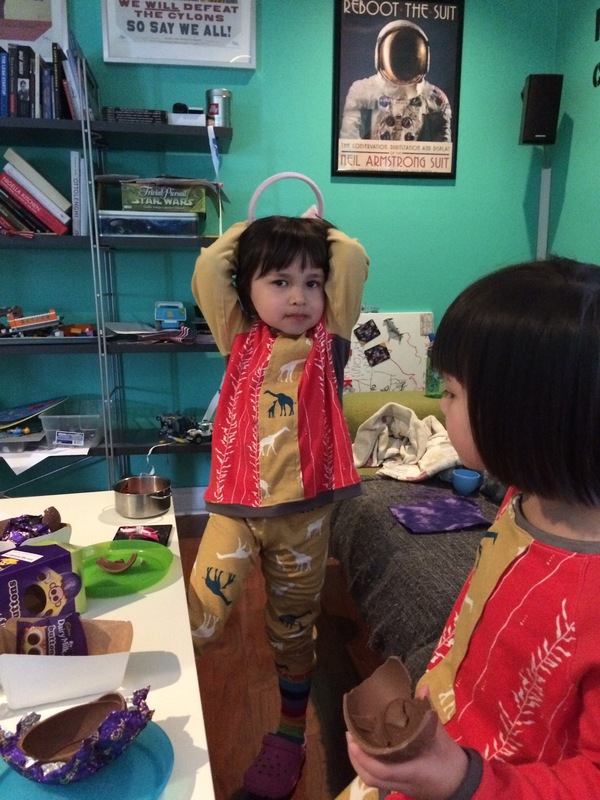 Pingus in there new pjs and eating Easter chocolate. 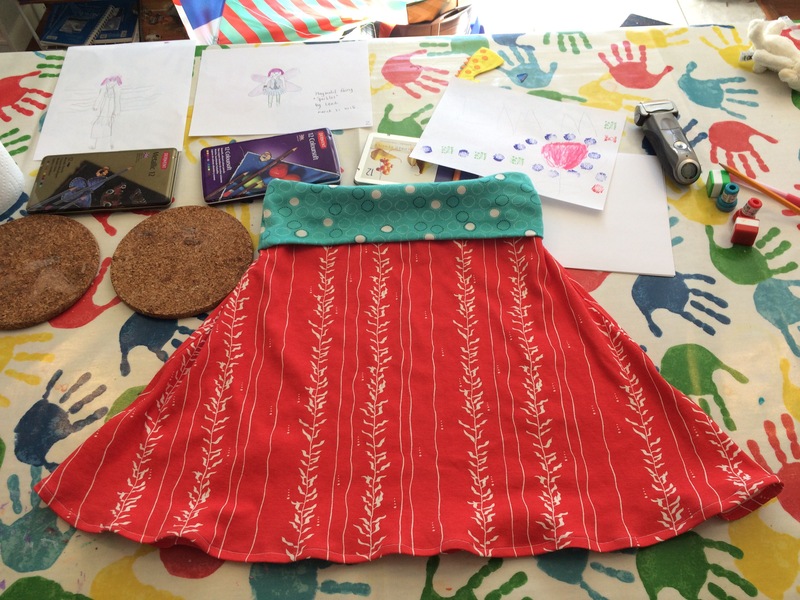 A knit skirt for me. Again, cut out before we went on holiday and took an hour or so to sew. Not a bad amount of items sewed for March, especially considering that my machine was in the shop being serviced for two weeks! 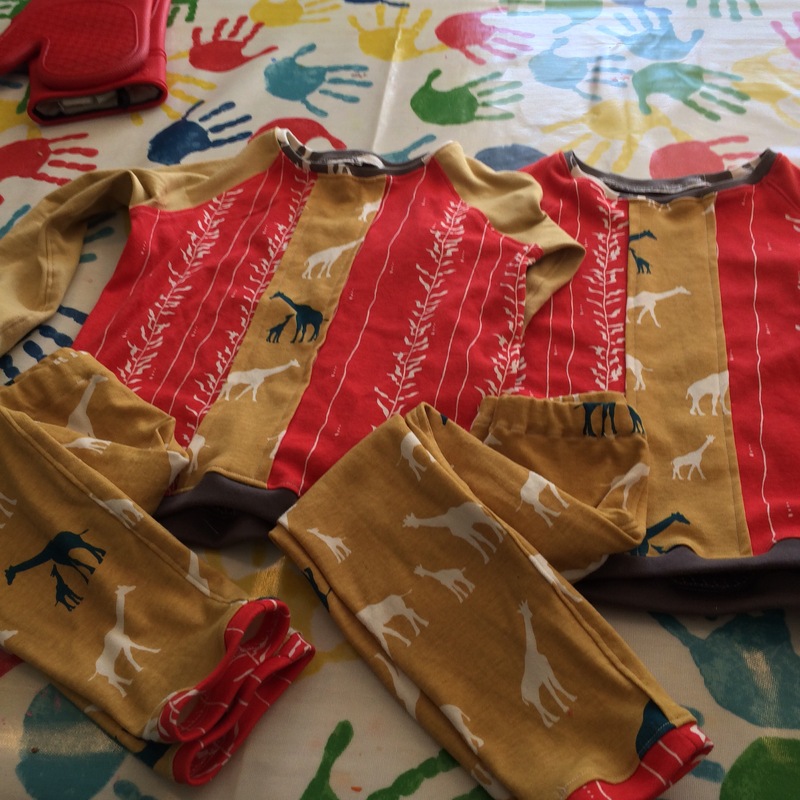 Love your clothes!So much nicer having one of a kind than buying off the shelf.